The number of data breaches and cyber attacks is increasing by the hour. Understandably, investing in cyber security has become the business priority for most organizations. Reports based on a global survey of 641 IT and cyber security professionals reveal that a whopping 69% of organizations have resolved to increase spending on cyber security. The large and varied data sets, i.e., the BIG DATA, generated by all organizations small or big, are boosting cyber security in significant ways. Business data one of the most valuable assets of a company and entrepreneurs are becoming increasingly aware of the importance of this data in their success in the current market economy. In fact, big data plays the central role in employee activity monitoring and intrusion detection, and thereby combats a plethora of cyber threats. Restricting the access of information only to the staff that is authorized to access it. Staffers should use theirlogins and other system applications to change data and view files that they are permitted to access. Every employee should be given different login details depending on the complexity of their business responsibilities. 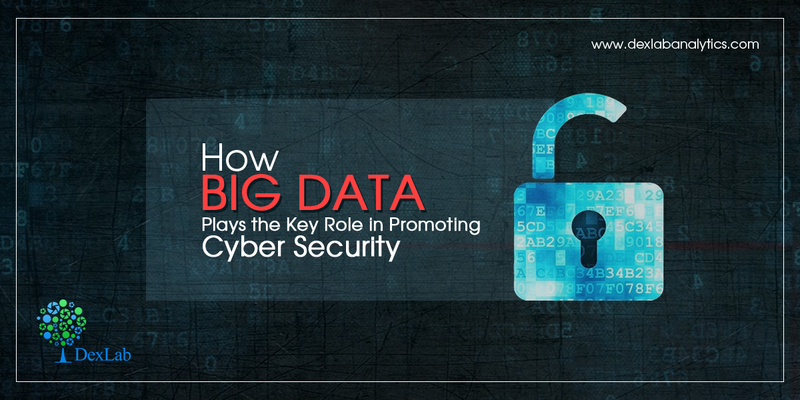 A crucial measure in the big data security system would be the incorporation of IDS – Intrusion Detection System that helps in monitoring traffic in the divisions that are prone to malicious activities. IDS should be employed for all the pursuits that are mission-crucial, especially the ones that make active use of the internet. Big data analytics plays a pivotal role in making informed decisions about setting up an IDS system as it provides all the relevant information required for monitoring a company’s network. The National Institute of Standards and Technology recommends continuous monitoring and real-time assessments through Big Data analytics. Also the application of predictive analytics in the domain of optimization and automation of the existing SIEM systems is highly recommended for identifying threat locations and leaked data identity. Security experts realize the necessity of bigger and better tools to combat cyber crimes. Building defenses that can withstand the increasingly sophisticated nature of cyber attacks is the need of the hour. Hence advances in big data analytics are more important than ever. Hadoop provides a cost effective storage solution to businesses. It facilitates businesses to easily access new data sources and draw valuable insights from different types of data. The unique storage technique of Hadoop is based on a distributed file system that primarily maps the data when placed on a cluster. The tools for processing data are often on the same servers where the data is located. As a result data processing is much faster. Hadoop is widely used across industries, including finance, media and entertainment, government, healthcare, information services, and retail. Hadoop is fault-tolerant. Once information is sent to an individual node, that data is replicated in other nodes in the cluster. Hence in the event of a failure, there is another copy available for use. Hadoop is more than just a faster and cheaper analytics tool. It is designed as a scale-out architecture that can affordably store all the data for later use by the company. Developing economies are encouraging investment in big data analytics tools, infrastructure, and education to maintain growth and inspire innovation in areas such as mobile/cloud security, threat intelligence, and security analytics. Thus big data analytics is definitely the way forward. If you dream of building a career in this much coveted field then be sure to invest in developing the relevant skill set. The Big Data training and Hadoop training imparted by skilled professionals at Dexlab Analytics in Gurgaon, Delhi is sure to give you the technical edge that you seek. So hurry and get yourself enrolled today!